Windows Phone users are reporting playback issues with YouTube videos on their handsets. Not all users are experiencing the issue, it should be noted. We are also disappointed that the FTC chose not to seek relief on other issues. Google continues to prevent Microsoft from offering a high-quality YouTube app for the Windows Phone. Thus, on Windows Phone as a platform, Google has not brought forth a YouTube application and Microsoft can’t do much better. Yes, Microsoft has released an app for YouTube, but it appears to be little more than a wrapper around the web version of the video service. The behavior is specific: head to m.youtube.com and click any video. In the past, such an action would launch Internet Explorer’s HTML5 video player, allowing Windows Phone users to watch just about everything that was mobile (assuming it wasn’t a Flash-only video). Now on Windows Phone 8 devices we get prompted to install an app. As Rubino goes on to point out, following the user prompt appears to generate little, as the search for an application comes up empty. Separate searches can yield a third-party solution, but the average user would certainly not think to do such a thing. WPCentral goes on to indicate the nub of the problem: users that have their phones set to ‘Desktop’ mode in Internet Explorer are now having problems with YouTube. Users that have their devices set to ‘Mobile’ mode are not suffering from the same issue. What makes this news is that, akin to what happened with the Google Maps controversy that sprung up one week ago, something has changed. According to the user reports that Rubino published as part of his post, something appears to have changed in the last two days that led to some confusion as support for their configuration was pulled. In 2010 and again more recently, Google blocked Microsoft’s new Windows Phones from operating properly with YouTube. Google has enabled its own Android phones to access YouTube so that users can search for video categories, find favorites, see ratings, and so forth in the rich user interfaces offered by those phones. It’s done the same thing for the iPhones offered by Apple, which doesn’t offer a competing search service. Unfortunately, Google has refused to allow Microsoft’s new Windows Phones to access this YouTube metadata in the same way that Android phones and iPhones do. As a result, Microsoft’s YouTube “app” on Windows Phones is basically just a browser displaying YouTube’s mobile Web site, without the rich functionality offered on competing phones. Microsoft is ready to release a high quality YouTube app for Windows Phone. We just need permission to access YouTube in the way that other phones already do, permission Google has refused to provide. 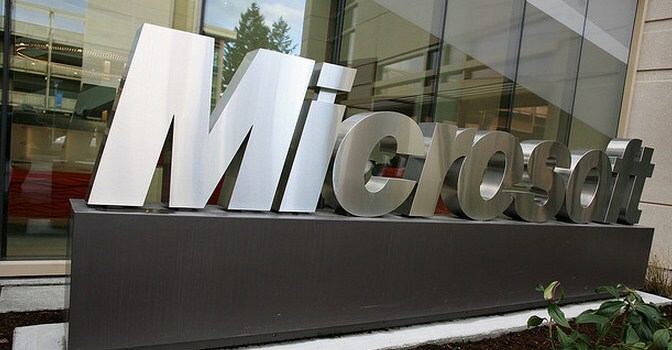 Therefore, to suffer any new restriction, no matter how slight, is more onerous than the individual act might belie; Google won’t allow Microsoft to build a full experience for its users, and so to further clamp down is frustrating. Google, during the Maps issue, made it plain to TNW that it has no plan to deliberately undermine the platform, and that it instead restricts access to certain of its products based on performance. It could be the case that Google simply ran new tests, found Internet Explorer 10 mobile on Windows Phone 8 to be lacking, and thus enacted new barriers. If so, I’m stumped: IE 10 on the latest builds of Windows Phone is a capable browser, and is more than able to handle YouTube. Even more, as pointed out before, it shares a rendering engine with the desktop version of Internet Explorer 10, so the point is all but meaningless. Google should remove any new restriction that it has put into place, and provide Microsoft with the appropriate tools to build a real damn app for its platform; Microsoft wants to encourage its users to use YouTube over other video services, which should flatter its competitor. For now, on Windows Phone scraps. TNW has reached out to both Google and Microsoft and will update this post upon hearing back from each firm.